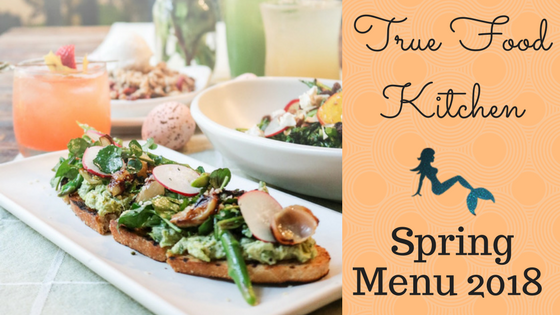 Prior to True Food Kitchen opening its doors in Boca Raton earlier this year, I had the amazing opportunity to experience its Winter Menu. Since then I have been back to TFK quite a few times because, really, it's just that good! 😍 Seriously, the charred cauliflower and squash pie are still my faves! I also knew that pretty soon they would be transitioning to a Spring Menu, and if you are a menu troll like me, you know I was excite to find out what vegan goodies would be on it! 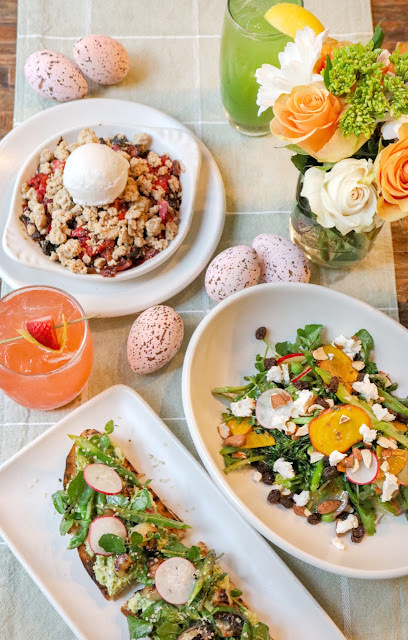 True Food Kitchen's new Spring Menu will feature five new dishes and six new beverages, with slight updates to some of the current menu items. I definitely want to try all of these, and will definitely be asking about omitting that tahini yogurt and the goat cheese to make the two vegetarian dishes vegan! I am not sure how much of a difference there would be with the Sparkling Honeydew and the Cucumber Cooler without their non-vegan ingredients, but it is definitely worth a shot asking the server what the alternatives are! This Sunday, April 1st, the Easter brunch will be featuring a sampling of the new Spring Menu. After Sunday, the new Spring Menu will roll out in its entirety on April 11th. Grab & Go Green - Any guest who orders True Food To-Go and picks up their food in the restaurant will receive a complimentary sustainability-themed reusable canvas tote bag. The assortment of four collectible canvas tote bags will also be available for purchase at just $10 each. QUICK TIP: I HIGHLY recommend making a reservation! My friend, Dawn, and I showed up on a Wednesday for lunch and the restaurant had an hour and a half wait! Thank goodness for takeout!